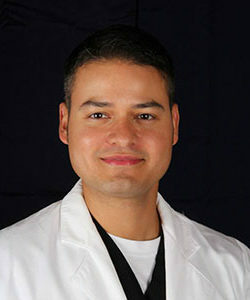 Dr. Frank Soto Leon graduated from the University of Nebraska medical center with his Masters of Science in Pathology and Microbiology. He then went on to graduate from Duke University Medical Center in Durham, NC with his Medical Degree. After completing his residency with the Duke University Department of Surgery, Dr. Soto Leon finished his fellowship with the American Board of Aesthetic Medicine and became board certified. After undergoing comprehensive training in several disciplines, including Autologous Fat Transfer and 4D Hi Definition Liposculpture, Advanced Liposuction, and utilization of SmartLipo Triplex and Vaser technologies, Dr. Soto Leon has become one of Omaha’s most experienced laser liposuction physicians. As the Co Medical Director and Co Founder of Imagen Body Sculpting & Cosmetic Center, Dr. Soto Leon has combined his expert knowledge of human anatomy and advanced surgical training with an artistic application. Through this fusion of proficient skills, he is able to attain dramatic aesthetic outcomes for his patients, with both advanced Hi Definition techniques and body sculpting procedures. Dr. Soto Leon has mastered the aesthetic form necessary with the 4D Hi Definition techniques in order to complete hundreds of advanced laser lipolysis/liposuction cases. He has learned the most advanced techniques from leading practitioners around the world through his extensive travels and experiences in cosmetic surgery training and education. Dr. Soto Leon forms a valuable relationship with his patients, as he is involved in every step of their cases, from first consult all the way through final follow-up and beyond.